← Freedom for Chelsea: Sentence Commuted! This Sunday 19th of February 2017 elections are being conducted in Ecuador for the election of a new President. During the current president Rafael Correa, Ecuador granted asylum to Julian Assange who in 2012 sought refuge from persecution for his WikiLeaks work by United States. 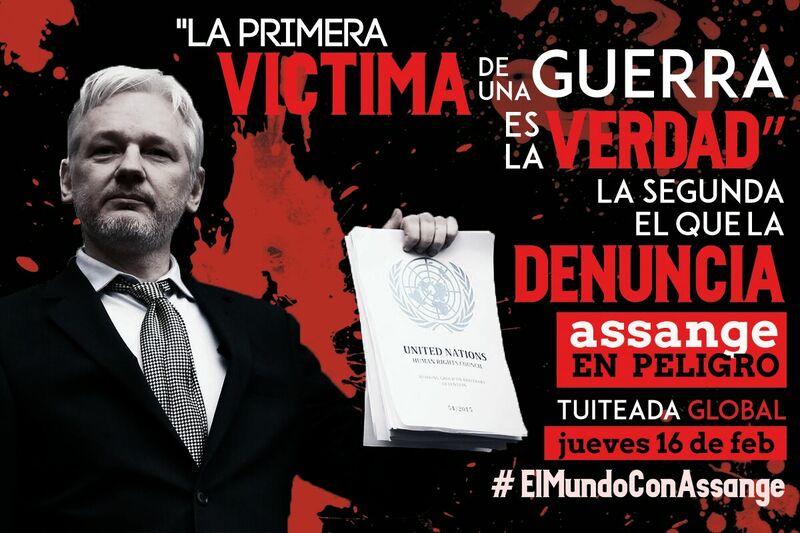 We shall start our solidarity for Julian Assange on Sunday with a presence between 11-13:00 outside the London’s TUC Congress Centre (28 Great Russel Street, WC1B 3LX) where voting is taking place for Britain’s ex-pat Ecuadorian community. With Many Thanks to Felipe Ogaz Oviedo @lombremono for the powerful posters! 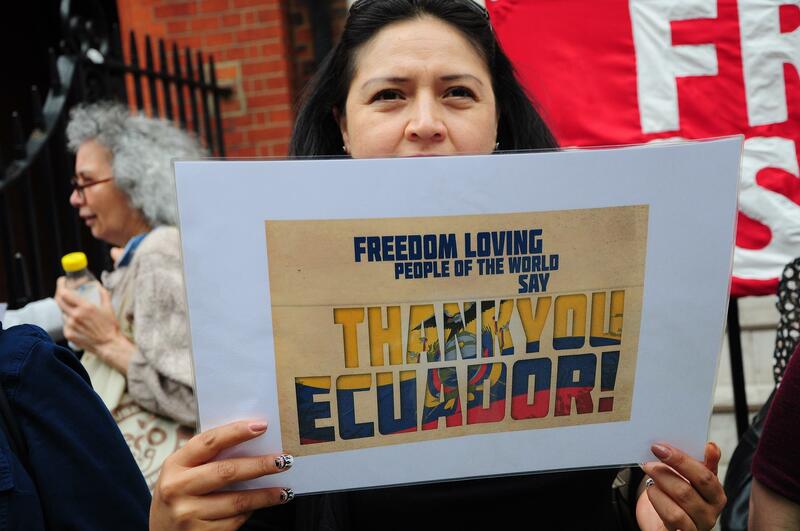 We shall then gather outside the Ecuadorian Embassy in London to thank the Ecuadorian people for their steadfast commitment to the protection of Julian Assange’s Human Rights. In a world that politically evolves with every cycle there is need for such commitment to be renewed. We hope and wish that the new political leadership of Ecuador will continue to write the book in the protection of Human Rights Internationally and attract the admiration and respect of people who aspire to these values. 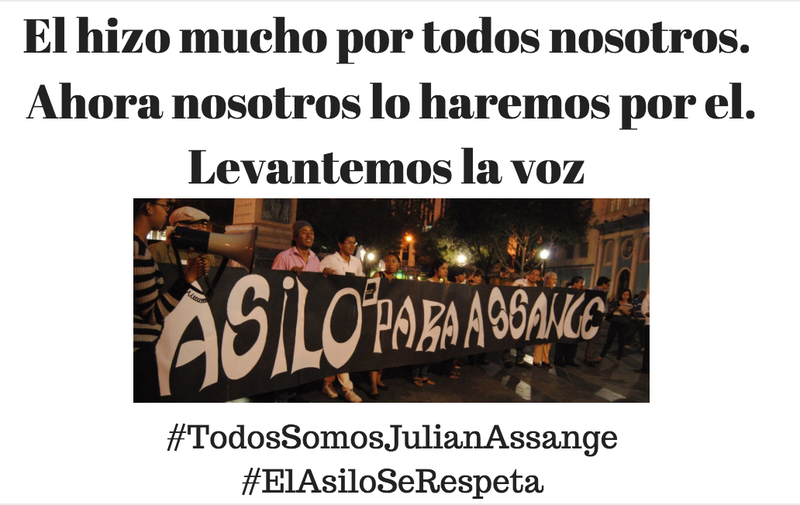 We shall gather in solidarity outside the Ecuadorian Embassy on Sunday 19/02/2017 between 14:00-16:00, hold posters and banners share cakes and distribute flyers. Justice Must Prevail, Join Us in Solidarity! Gallery | This entry was posted in Assange, WikiLeaks and tagged Ecuador, Julian Assange, WikiLeaks. Bookmark the permalink. You have the wrong address. It should say 28 Great Russell Street. Thanks for supporting Julian. He is a victim of human abuse.